Last month we found out that our Babies R Us location was closing. That meant no more Wednesday Night Yoga, and the notice they gave us was pretty sudden! 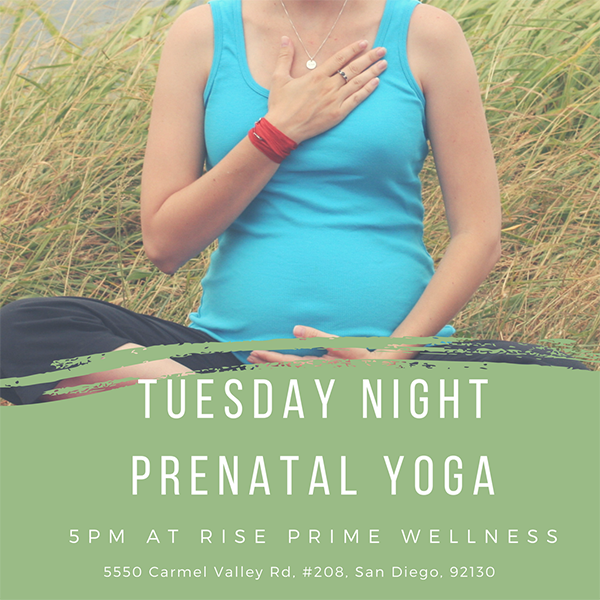 After searching all over for the right space for us, we found RISE Prime Wellness in Carmel Valley. It is in a sweet little spot, upstairs with a beautiful view. And it is in a space meant for yoga. We are super excited to introduce to you our new space – come join us on our new day and time – Tuesdays at 5:15pm. We know that it can be hard to get there after work, so if you will be late, just let us know so we can hold the space for you. Hope to see you soon!